Nestiny Agent Funiversity - It’s about time there was a hero in real estate! It’s about time there was a hero in real estate! We know first hand that being a real estate agent these days is far from easy. As a matter of fact, it’s becoming more and more difficult for us to do our jobs every day. We also know that the most phenomenal agents in our industry are the ones that are in this business for all the right reasons. They are drawn to real estate out of a passion for helping people and it being the most rewarding and satisfying career they’ve ever had. Yes, it also offers some personal flexibility and scratches the itch to be the maker of your own destiny. But we all know that those attractive freedoms are frequently exchanged for putting our clients’ schedules first. Being a real estate agent comes with one of the most flexible career paths out there. What other profession is accessible to newbies right out of school but also supports people wanting second careers that leverage skills they acquired in past jobs? The common appeal is that real estate agents exist to offer guidance to people looking for professional assistance in making one of the most important and expensive purchases of their lives. But there is a disruptive trend that’s arrived and accelerating quickly. It’s unstoppable and will change the profession forever. To put it simply, technology is becoming a wedge that sits in-between homeowners and real estate agents. For instance, the Zillow and Trulia sites attract nearly a hundred million customers each month. It’s undeniable that they offer a valuable service that empowers consumers with extensive home search tools. But it’s also obvious to agents that they’ve created problems due to data quality issues (which confuses customers), price estimates that aren’t always on point and ultimately a lead gen model that can be pricey and require hours of smiling and dialing to find a new client. 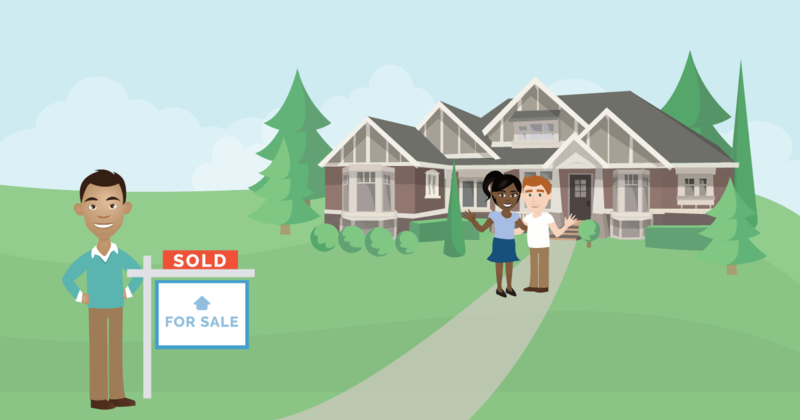 And if you’ve been reading the news, you know that Zillow just launched their ‘Instant Offers’ program which is creating quite a bit of uproar in the agent community. It’s too soon to say whether or not it will resonate with consumers or if the business model is even viable. There’s also a whole new bumper crop of well-funded, real estate tech startups such as Open Door, OfferPad and Knock working to facilitate transactions directly with consumers. These players (dubbed “iBuyers”) are trying to eliminate or diminish the real estate agent’s role in a transaction in various ways. For the extremely savvy home buyer or seller these companies offer additional options, but not all consumers are ready to navigate the process without the help of a trained professional at their side. The fact is that technology WILL disrupt real estate. It’s unavoidable at this point. And this shouldn’t be a scary thing. Not all disruption is bad. In fact, disruption usually provides an opportunity for those that embrace it to thrive. From a real estate perspective, there are two distinct breeds of disruption which will create different risks and opportunities. The first form of disruption is coming from “outside” companies that don’t appreciate the value an experienced, local real estate agent provides in the process. Most of these companies have been started by founders who have never personally helped a renter buy their first house or a seller part with their childhood home. They’ve never walked a mile in your shoes. They look at our industry and the first piece of the equation they hone in on is the agent. They ask, “Why do home buyers and sellers need agents and why are their commissions so high?” They don’t understand the role that a trained professional plays in the buying and selling process nor about the expenses associated with being an agent. They think that “less is more” and “cheap is better”. The second form of disruption is “disruption from within” that takes what’s working and makes it better. There are thoughtful businesses that are working hard to build new real estate tools and services that improve the existing process by eliminating unnecessary tasks and arming consumers and agents with education and tools. These solutions can help propel our industry forward without eliminating the human element that insiders appreciate as invaluable. This is where Nestiny fits in. We know that as an agent it’s easy to feel threatened because your livelihood depends on the real estate industry needing you and your services. We get it. Our mission is to provide clarity to consumers online while simultaneously working hard to give agents smart technology-based tools that keep them relevant. Future home buyers and sellers are joining Nestiny and investing their time to learn more about how real estate works, how much they can afford and what really matters most to them. Nestiny’s job is to sift through our members to find motivated prospects and introduce them to you. And it’s not lost on us that agents’ phones and emails are bombarded with all sorts of companies constantly trying to sell you a magic bullet that will take your business to the next level. Many of these offers are expensive and not built by agents. It’s easy to be a cynic these days. Here’s what really makes us different. Nestiny is built by an agent for agents. The big catalyst for creating Nestiny was that I was personally tired of experiencing all the empty promises, money wasted and lost opportunities resulting from these sales pitches. The truth is, it’s about time there was a hero in real estate that served both consumers and agents. That’s what Nestiny is doing. By caring about the consumer experience while providing a slick yet budget-friendly platform to boost agents’ businesses, we are accepting the challenge to become real estate’s new hero and champion. We sincerely hope you will join us on this journey to build a win-win solution and restore order to the business we all love of helping people become happy homeowners. 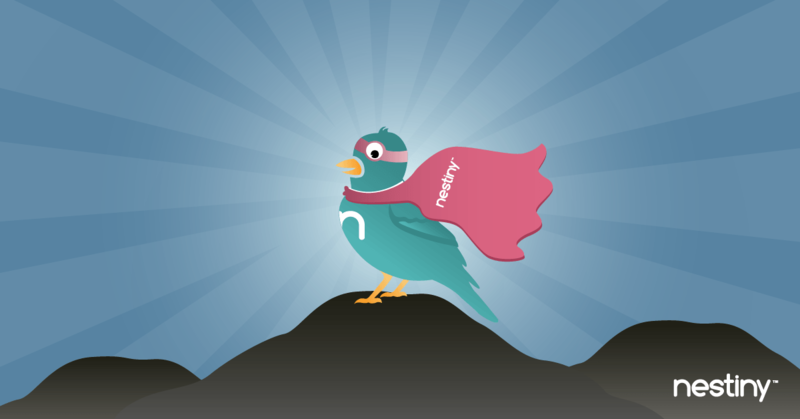 Educate and qualify your prospects with Nestiny!